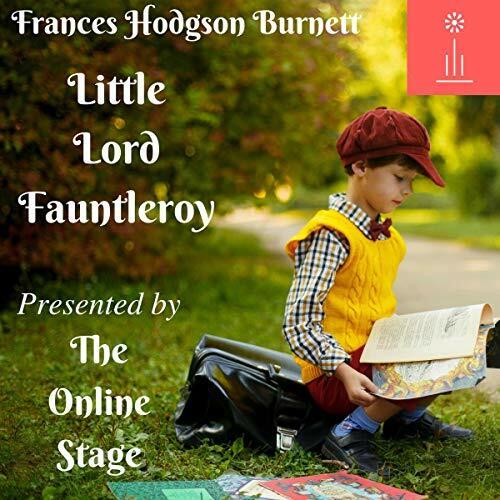 Little Lord Fauntleroy by Frances Hodgson Burnett. Presented by the Online Stage. Frances Hodgson Burnett's heartwarming novel about an idealistic and impoverished American child who unexpectedly finds himself transplanted into the English aristocracy has long been considered a true classic of children's fiction. Young Cedric lives with his widowed mother in New York. His late father was a British earl who had been disowned by his father for marrying an American. As all of the earl of Dorincourt's sons have now died, he begrudgingly looks to Cedric as his sole heir. While the earl soon comes to love the endearing little Cedric, conflict arises when a strange woman appears on the scene and insists that her son is the true heir. Additional voices provided by Sarah Bacaller, Lee Ann Howlett, Susan Iannucci, Nancy German, P J Morgan, Alan Weyman, Danielle Cohen, Jeff Moon, Phil Benson, Sarah Mitchell, Leanne Yau, Andy Harrington, Andrew Coleman, Ken Foster, and Elizabeth Klett. Audio edited by Amanda Friday, Elizabeth Klett, and Denis Daly.